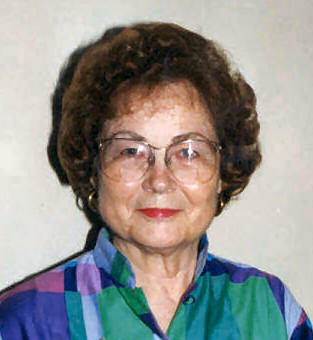 MOUNT PULASKI -- Dorothy Ellen Mardis, 84, of Mount Pulaski died Monday, Oct. 3, 2005, at 2:37 p.m. at St. John's Hospital in Springfield. Her funeral will be at 10 a.m. Friday at Zion Lutheran Church in Mount Pulaski, with the Rev. Glenn Strohschein officiating. Mrs. Mardis worked at Stetson China and the bottle factory in Lincoln. She was born Jan. 15, 1921, at Heyworth to Emil Fred and Bertha Amelia Bock Goetsch. She married Clarence Cecil Mardis in Missouri on Aug. 10, 1941. He preceded her in death. She is survived by one daughter, Judy (and Jim Boy) Coogan of Mount Pulaski; one son, Clarence T. Mardis of Mount Pulaski; one sister, Bernadine George of Stanford; two grandchildren, J.C. (and Joyce) Coogan of Mount Pulaski and Teena (and Doug) Lowery of Mount Pulaski; one stepgrandson, Jerod Fults of Lincoln; four great-grandchildren; and one step-great-grandchild. She was also preceded in death by one brother and two sisters. She was a member of Zion Lutheran Church in Mount Pulaski. Memorials may be made to her church or to the Mount Pulaski Zion Lutheran School. Click here to send a note of condolence to the Mardis family. BEASON -- Rachel Elizabeth "Liz" Edwards, 85, of Beason died Monday, Oct. 3, 2005, at 3:56 a.m. at St. John's Hospital, Springfield. Visitation was on Wednesday at Fricke-Calvert-Schrader Funeral Home in Lincoln. Her funeral will be at 2 p.m. Thursday at the funeral home, with Tim Searby officiating. 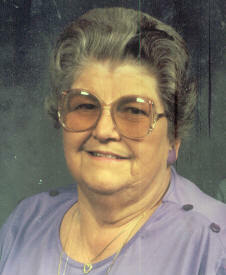 Mrs. Edwards was retired as owner and operator of the OK Tavern in Lincoln. She had worked in the clothing department at Lincoln Developmental Center in Lincoln for about a decade, beginning in 1959. She also farmed with her husband. She was born March 26, 1920, in Danvers to Harry Ellsworth and Amy Watts Zook. She married Eugene Hall Edwards in Lincoln on Aug. 2, 1940. He died April 15, 1987. She is survived by two sons, Harry David "Bear" (and Margaret) Edwards of Beason and James Roy "Chub" Edwards of Beason; three daughters, Carolyn Elizabeth (and Gary) Schall of Springfield, Mary Catherine Bland of Lincoln and Marilyn Louise Jackson, address unknown; one brother, Howard Watts (and Kay) Zook of Beason; a sister-in-law, Charlotte Key of Elkhart; 12 grandchildren; and 14 great-grandchildren. She was also preceded in death by one grandchild. She was a member of Beason United Methodist Church, Beason United Methodist Women, North Aetna Home Bureau and Eagles Auxiliary 2708. She also assisted with 4-H.
Memorials may be made to Beason Fire Department or Beason United Methodist Church. Click here to send a note of condolence to the Edwards family. LINCOLN -- Delora Maude Mast, 86, of Lincoln died peacefully on Saturday, Oct. 1, 2005, at the Christian Village. Her funeral was at 11 a.m. Thursday at Bennett Funeral Home in Lincoln, with the Rev. Phillip Blackburn officiating. Visitation preceded the service. 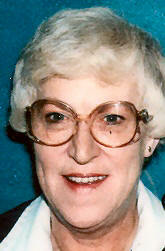 Burial will be Oct. 10 in Crystal, Mich.
Mrs. Mast taught at Hartsburg-Emden and retired in 1978. She was born Dec. 20, 1918, at Crystal in Montcalm County, Mich., to Ernest and Maude McClelland Burk. She was married to Floyd H. Mast for over 50 years. She is survived by two daughters, Karel Thompson of Oswego and Charlotte "Tillie" Griffin of Lincoln; one sister, Arlene Turner (and Paul) of Crystal, Mich; four grandchildren, Mark Thompson, Greg Griffin, Janis Labroo and Christine Wallace; and 14 great-grandchildren. She was preceded in death by her parents, husband, one brother, and one sister. She served two terms as president of the League of Women Voters, her antique club -- Lintiquers, and the Hartsburg-Emden Teaching Association. She attended a one-room school and graduated from high school at age 15. After working for several years, she entered Huntington College in Indiana in 1937, majoring in music. She entered Illinois State University in 1961 and graduated with a degree in social studies. She especially enjoyed growing flowers and traveling in the U.S. and Europe. Memorial donations may be made to the First Presbyterian Church, Hospice, or the Christian Village and will be accepted at the funeral home. Click here to send a note of condolence to the Mast family. LINCOLN -- Patricia A. Black, 80, of Lincoln died Saturday, Oct. 1, 2005, at 3:30 p.m. at St. Clara's Manor, where she had resided since 1983. Her funeral was at 11 a.m. Thursday at Fricke-Calvert-Schrader Funeral Home in Lincoln, with the Rev. Wallace Reifsteck officiating. Visitation was on Wednesday at the funeral home. Burial is in New Union Cemetery. Mrs. Black had been a technician at Lincoln Developmental Center. She was born May 20, 1925, at Lincoln to Raymond and Helen Scheid Walker. She married Lee O. Black in Lincoln on Aug. 30, 1953. He died Aug. 19, 1963. She is survived by two daughters, Julie (and Roger) Matson of Lincoln and Dana (and Doug) Mahler of Lincoln; one son, Michael L. (and Sonia) Black of Apex, N.C.; one sister, Alma Jane Giles Thomas of Tampa, Fla.; and three grandchildren, Abby Matson of Lincoln, Hayden Matson of Lincoln and Brianna Black of Apex, N.C.
She was also preceded in death by one brother, Robert L. Walker. She was a member of St. John United Church of Christ. Memorials may be made to her church or to St. Clara's Manor. Click here to send a note of condolence to the Black family. LINCOLN -- Joy Anne Wiggers Furkin, 67, died Friday, Sept. 30, 2005, at 5:15 p.m. at St. Clara's Manor. A graveside service at New Union Cemetery will be at a later date. Mrs. Furkin had worked in cosmetology as a hairdresser. She was born Aug. 2, 1938, in Lincoln to John and Elizabeth Lawhead Wiggers. She married Joseph "Bill" Furkin in Canton on Dec. 2, 1968. She is survived by her husband, of Lincoln, and two sisters, Natalie Riecks of Loda and Sara Logan of Canton. She was preceded in death by her parents and her brother, John Earle Wiggers. She was a member of the Church Of God. Click here to send a note of condolence to the Furkin family.